The AMPTEC 720A Micro-Ohmmeter is an affordable 7 range, 4-Wire Kelvin based product that is used to test electrical resistance on a wide variety of applications including winding resistance, contact resistance, and component testing. 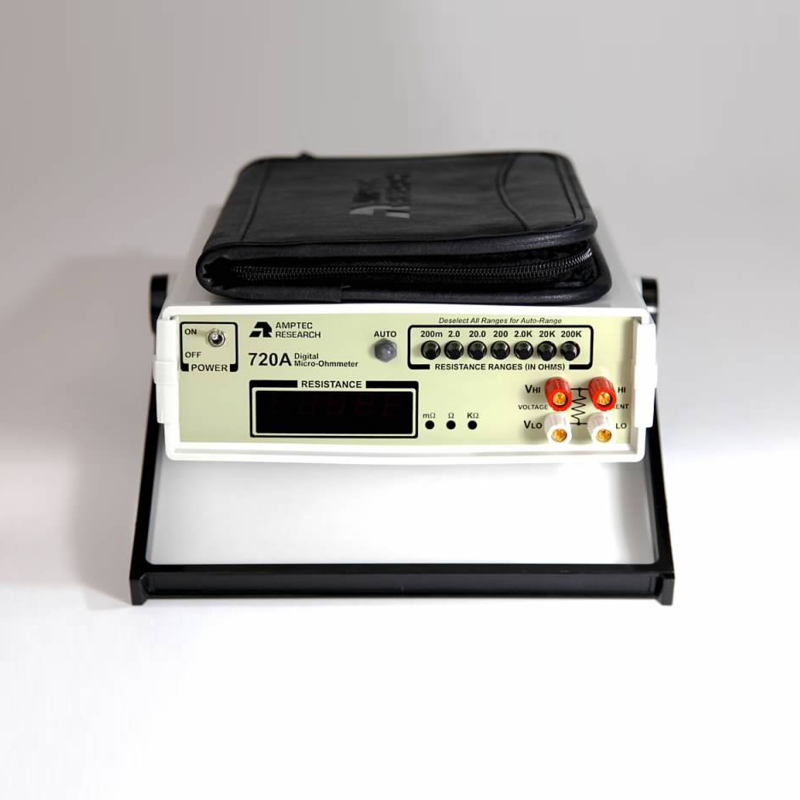 The 720A micro-ohmmeter has an autorange feature (available with NSN package) and is compatible with an RS232C interface (OP-232). Thanks to the Amptec 720A’s wide-range capabilities, reliability, and ease of use this micro-ohmmeter is used commonly across the globe. Our 720A micro-ohmmeter is available for purchase in two separate packages, as listed below. For specific pricing information or to place an order for a 720A meter, please contact us today. NSN Package Includes 720A micro-ohmmeter, (OP-232) RS232C interface, autorange feature, (OP-110) lead pouch, (OP-300) leads, (OP-403) probes, & U.S. N.I.S.T Calibration Certificate. Request a quote! Commercial Package Includes 720A micro-ohmmeter, (OP-110) lead pouch, (OP-300) leads,(OP-403) probes, & U.S. N.I.S.T Calibration Certificate. Request a quote! 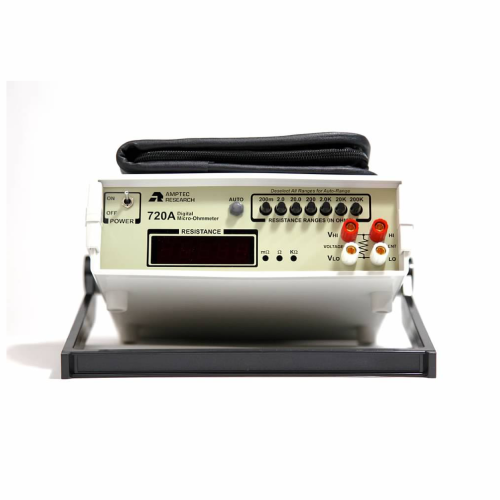 The 720A micro-ohmmeter is compatible with most 620 Series and all 720A Series probe/lead sets and accessories. Please note that not all of our accessories are listed online.